Looking for fun, relaxed, easy and beautiful diving? In small, friendly groups, away from the cruise ship crowds? So you literally don’t miss your boat (even though you may want to), we’ll take you diving on two of Curacao’s best shore dive sites – Pierbaai Reef and Car Pile. These beautiful dive (and snorkel!) sites are right across the road from The Dive Bus dive center, less than 15 minutes taxi ride from the cruise ship terminal. The shallow, protected sandy bay and gently sloping reef are perfect for diving and snorkeling at all levels of experience (including none at all). We’ve got heaps of facilities on-site for your use too, including free WIFI if you’re diving with us, so feel free to make your friends and family jealous of your diving and cruise-shippin’ adventures. 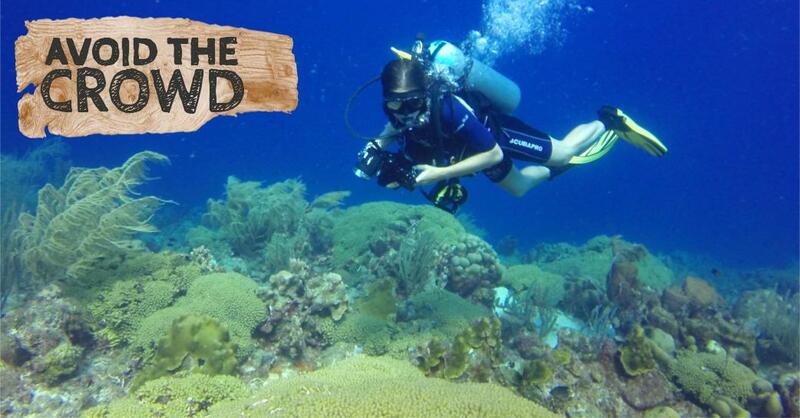 Let us show you around one of the best dive sites in Curacao - just across the road! 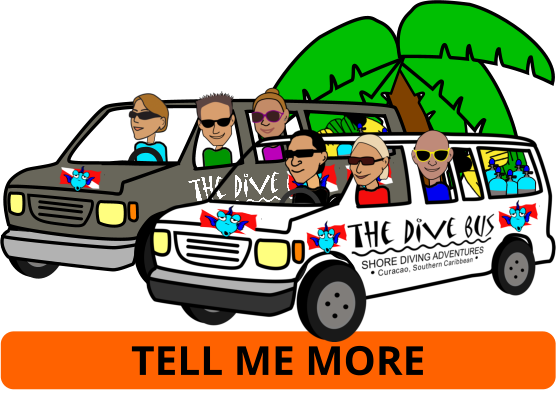 You and your buddy can explore one of the best dive sites in Curacao on your own schedule - just across the road! Now's the perfect time and perfect place to try it, trust us. Please note that we don't delay our other divers for late arrivals, and will do our best to re-schedule you if you're running late where possible / time permitting. stroll to nearby Mambo / Seaquarium beach at Curacao Boulevard for more restaurants, bars and shops or Curacao Seaquarium. jump on a local bus head to beautiful, historic and quite unique downtown Willemstad on the way back to your ship. Explore the shops, enjoy the stunning architecture and colours... and the duty free zone! Please contact us WELL in advance of your departure date so your booking can be finalised before you leave home for your trip. Please also take a minute to check out our Cancellation Policy on our Booking Info page. The Dive Bus doesn't provide transportation to / from the cruise ship terminal because special permits are issued to qualifying, official / licensed taxi and bus drivers, specifically for pick up / drop off at the cruise ship terminal (and airport.) Instead of taking business from the pockets of the folks who've earned and paid for their license - and plenty of other dive "shops" do - we stick to our business and livelihood and let others stick to theirs. It's cool that our divers tend to share the same values, rather than save themselves a few bucks. And to keep costs down (we know cruises don't come cheap), once you've confirmed your reservation with us, with your permission we'll share your email details with others from your ship so you can hook up and share a cab.